A bipolar test is not like a test for diabetes or high cholesterol. Bipolar disorder cannot be diagnosed with a blood test, an x-ray, or even a brain scan! whether or not bipolar disorder is likely. A positive screen merely shows the POSSIBILITY of bipolar disorder! It MUST be followed up by a consultation with a medical expert such as a board certified psychiatrist who specializes in mood disorder. I know you are in a hurry to go ahead with your bipolar test, but it is important to first understand what these tests can and cannot tell you. If you screen positive, you need to follow-up with a skilled clinician. Only go ahead with these bipolar self-tests if you understand you cannot diagnose bipolar disorder over the Internet! Bipolar disorder is characterized by periods of mania (“the “UPS”), periods of depression (the “DOWNS”) and periods of a normal, stable mood. So the first step is to test for these episodes of mania. You felt so good or so hyper that other people thought you were not your normal self or you were so hyper that you got into trouble? A “Yes” to 7 or more of the above questions suggests you may have had a period of mania. Bipolar mania is harder to diagnose than bipolar depression and the MDQ is NOT 100% reliable. Even though this test has been validated through clinical research and is widely used in medical practice, it sometimes gives false positives. You can also screen for bipolar mania with the Hypomania Checklist (HCL-10). This test is a refinement of the Hypomania Checklist (HCL-32 and HCL-15) and includes the 10 bipolar signs and symptoms that research shows most reliably indicate at least mild mania. 1. More drive and energy. 3. Increased social activity and work motivation. 5. More plans and ideas. 6. Less shy, less inhibited. 7. More talkative than usual. 8. More puns and jokes, faster thinking, laughing more. 9. Extremely happy mood, over-euphoric. 10. Over-activity (e.g., shopping, business, telephone calls, traveling, driving, visiting people). If you scored 7 or above (i.e. answered “yes”), then you have a positive screen for mild, moderate or potentially “Bipolar I” style mania. The final step in your bipolar test (once you have checked for BOTH depression AND mania) is to establish you are actually demonstrating “bipolar behavior” – are your symptoms having a demonstrable negative impact on your daily functioning? Do your manic episodes lead to problems at work or home such as fights, legal problems, money problems, of falling out with family members or friends? Does your behavior during these periods make the people close to you concerned, annoyed, irritated, or critical? A “Yes” to these questions is the third and final element in a positive screen. Another strong indicator is having a close blood relative (parent, grandparent, brother, sister, uncle, aunt) who has been diagnosed as bipolar (or manic depressive). Remember – This is not really a definitive bipolar test -it is just a self-screen. Consult with a medical expert and read this excellent Fact Sheet on self-testing for bipolar disorder. The most common misdiagnosis is confusing major (but unipolar) depression with bipolar depression. However, it is possible to test for bipolar depression. As you may know there are different types of bipolar disorder. Some tests focus on testing across the “bipolar spectrum”. 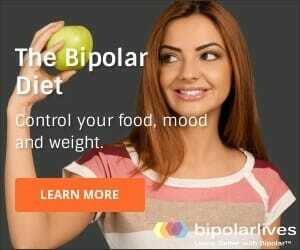 Click to discover tests for bipolar ii and soft bipolar. You MUST understand the bipolar test here is only a FIRST STEP. We are not pretending that an accurate, reliable and expert diagnosis can be performed using a checklist over the Internet! You are asked in detail about family history, including relatives who were diagnosed with bipolar, and those who did not get formally diagnosed but who demonstrated mood swings. You are encouraged to bring someone who has known you very well and for a long time in order to provide some objectivity and perspective. A systematic and detailed life history and timeline of all potential bipolar disorder signs and symptoms is taken, for example through using the life chart method. 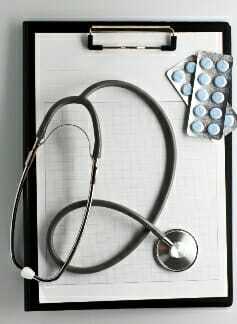 A recognized set of criteria are used to assess you, for example the diagnostic criteria from Diagnostic and Statistical Manual of Mental Disorders, Fifth Edition (DSM-V). I am 55, very happy to have stumbled upon your website, eager to utilize resources and take the tests. I’m now at a Bipolar 2 depressive, but just this May a Psychologist throws BPD in the mix, and said you can be missed diagnosed w/ B2 when its really BPD!! I say ‘oh goody, does anyone with a degree & license know anything – I have just seen my 5th new person and started my 5th new drug tx plan in 6 months, at the SAME clinic! Noooo Trump we don’t have no stinken Mental Health issues in this county and that ice-burg was just a polar bear playing around in the water! OK all sarcasm aside… I’m tired, really tired! Just stopped Topamax, so much anger, mood swings & raising thoughts; best I have felt in a long time, afraid to start new med carbatrol, had to talk them down from 200mg to 100 to start, and to hold back on Lithium, which they wanted to start me at 300×2. No thanks, not without more information!!! One last thing, any of you ladies in Menopause & have B2, or major depression w/ mood swings? Appreciate any&all feed back. I am feeling encouraged to come across this program of Bipolar is alive. I used to subscribe to the Bipolar Magazine but for some reason it stopped coming. I was glad that it did actually because I live in a very small rural area and the address on the cover used to be covered, but then it started coming so everyone could see it which made me aware that people would put one and one together and know I had Bi polar. A condition not very respectfully to have where I live. This way on the computer no one will see it.